Ans: Blackboard is a Web-based course-management system designed to allow students and faculty to participate in classes delivered online or use online materials and activities to complement face-to-face teaching. Q2: How do I access Blackboard? Or Thru the COD Website: https://cod.ksau-hs.edu.sa/ under E-Services in the menu (after login). Q3: How do I log in to Blackboard? Ans: On the login page, select Forgot Your Password? Or Forgot Password? Q4: Can I download lecture materials from blackboard like video and files? Ans: By COD policy downloading of this materials are prohibit. Q5: How do I access the courses that I am registered for? Ans: After logging in to Blackboard, you will “land” on the My Institution tab; you will see your courses listed under the My Courses tab on the right hand side of the page. Q6: Can I access my Blackboard at home? Ans: Yes, access of blackboard can be done anywhere as long as there is an internet connection. Q7: Can I use mobile device in accessing Blackboard? 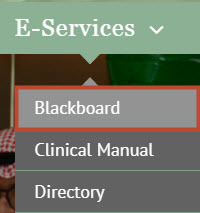 Ans: Yes, you can go to https://cod.ksau-hs.edu.sa/ under E-Services in the menu (after login) to access Blackboard. Q8: Whom should I contact for further help? Q1: What is the full form of KEAP? Q2: What does Curriculum Mapping mean? Ans: Curriculum mapping is the process of aligning a curriculum to identify and fulfill the academic gaps, redundancies, and misalignment’s for improving the overall teaching and learning methodologies. Q3: What is CLOs and PLOs? Ans: CLOs are Course Learning Outcomes. PLOs are Program Learning Outcomes. 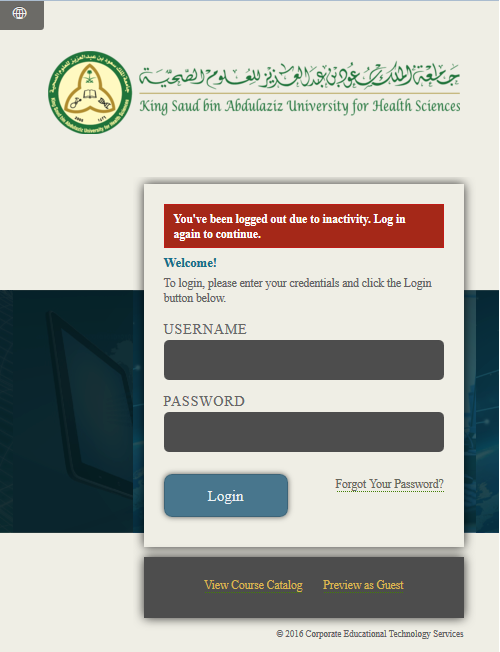 Q4: If any faculty doesn’t have KSAU-HS account, how can faculty login? Ans: COD-IT can create an account inside the system. Request you to please fill a request form and submit it to COD-IT Department. Q5: How can faculty get an access to their courses? Ans: COD-IT gives access to the faculty with all assigned courses provided by Academic Affairs. Q6: How can I get an access/role of Course Coordinator instead of a Lecturer? Ans: COD-IT can set the role/access according to the list provided by Academic Affairs. Q7: Can an Invigilator extend the time of the exam? Q8: Can faculty choose not to randomize the test? Ans: Yes, COD-IT can set the test to be not randomized. However, we recommend the randomization of test is must to minimize the cheating attempts. 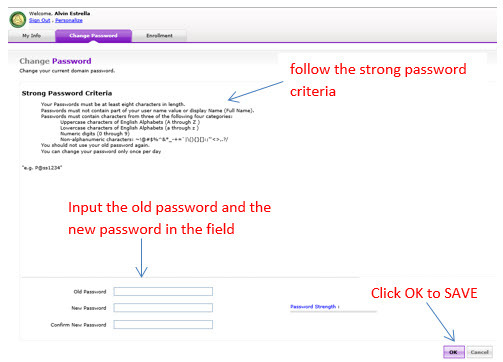 Q9: Can faculty use KSAU-HS username and password for logging into the KEAP system? Q10: Can faculty add randomization of the questions? Q11: Can we add other types of questions except single select? Ans: No, but it will be added in the future. Q12: Can we add a Timer for the test? Q13: Where can I access training’s/manuals to learn more about the system? Ans: It is available on COD website > Faculty page > Training’s page. Q14: Is there any Workflow/Process created? Ans: Yes, in the process of finalizing, then it will be available soon on the website. Q15: KEAP works with how many browsers? Ans: All latest browsers like Google Chrome, Internet Explorer, Firefox, etc. Q16: Can I login to the system from home or outside KSAU-HS network? Q17: Do I need internet connection to enter questions? Ans: No, it’s accessible within KSAU-HS network. Q18: Can I see the results of the exam as a faculty? Q19: Can we edit pdf of questions (after approved)? Ans: No, please coordinate with Specific Course Coordinator and make changes on the system and re-generate the pdf. Q20: Who created this system? Q21: Can I edit the question once it is submitted to Assessment Unit or approved by the Course Coordinator? Ans: Yes, the user can send the request for editing the question to AU responsible person for the course and specify who will edit the question (Course Coordinator or Author). Note that this current process is temporary. Ans: Mediasite is the system of recording and archiving the content of a lecture, conference, or seminar. It is a combination of hardware and software components that helps to record the sessions. Q2: Who is currently using Mediasite? Ans: Only, Colleges of Dentistry using the Mediasite in KSAU-HS. It is using Mediasite to record all the lectures and made available through blackboard. Q3: How can I access the Mediasite portal? Ans: Open Mediasite link from College of Dentistry (https://cod.ksau-hs.edu.sa) website under E-Services (after login) to access Mediasite portal. User must have an access on Mediasite. Q4: Who are currently viewing the Mediasite recorded lecture in COD? Ans: Students and faculties are accessing the Mediasite lecture through blackboard. Q5: I can’t access recorded videos from my PC / laptop. What can I do? Ans: Mediasite supports latest version of IE or Firefox. Other browsers will not work. You need to install Microsoft Silverlight to use Mediasite. Q6: How do I record any video apart from lecture and I can share it with my students? Ans: Mediasite recorder is installed in COD classrooms. User must request to COD IT to setup a Mediasite recording for video and make available for students through Blackboard. Q7: Whom should I contact for further help? Q1: How to change SALUD password? Q2: How to have SALUD username and password for new user? 1. New staff by default don’t have access to SALUD, they can fill the form from Clinical Admin Assistant (Ext: 95763). 2. The second way to get the form is from E-forms in COD website, then they can send it to their department to process it. Q3: How to Rollback or Delete a processor? Ans: If you add procedure or update treatment step by mistake flow the following steps to Roll it back then delete it, please note this is available for faculty and students only by their accounts. If you add procedure by mistake and you want to delete it follow the same steps for Rollback procedure. Make sure to rollback All the steps under the processors that you want to roll it back. Unauthorized the procedure steps then you can delete it. Q4: How to Rollback or Delete a processor? To be able to get grades you must always update the appointment status of the patient, if there is a previous appointment with BOOKED status the system will not allow you to get the grades, These steps document describes how can you update appointment status and if there is a previous appointment status not updated how can you get the grades in SALUD System. 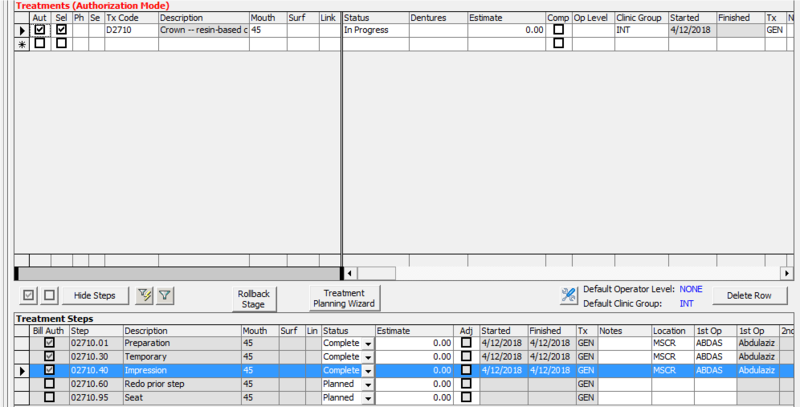 Press Tooth Icon ‘Clinical’ to open Clinic Management screen then select your patient. The correct way to mark the patient appointment to attended is to have a TREATMENT PLAN/STEPS for the said appointment, if you do not do any procedure use treatment procedure with code 00091 Patient attended/seen – no procedure steps performed. 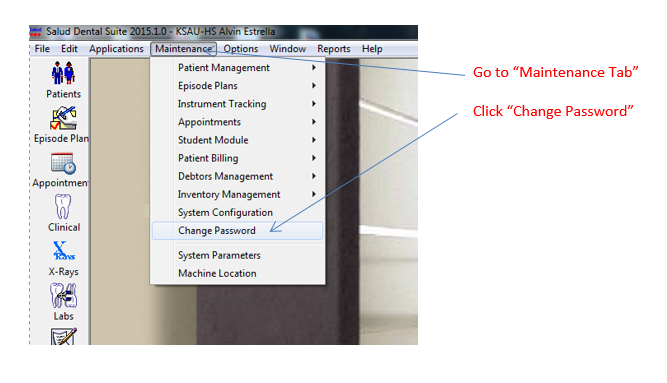 In the Clinic Management screen, click the Edit toolbar button . Press update Treatment Steps button. Add treatment procedure Patient attended/seen – no procedure steps performed treatment code 00091 then and authorize it then Press update Treatment Steps button. Patient status will change automatically from Booked to Attended. Click the Save button on the toolbar . 3. If you can’t edit the Appointment because there are previous booking not updated follow the flowing step. Open they yellow card by press the icon . Check the Date of the Appointments is still Booked by press Patient Appts button. 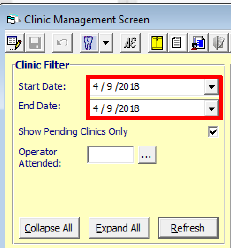 Press Tooth Icon ‘Clinical’ to open Clinic Management screen filter the date to previous booking still booked. 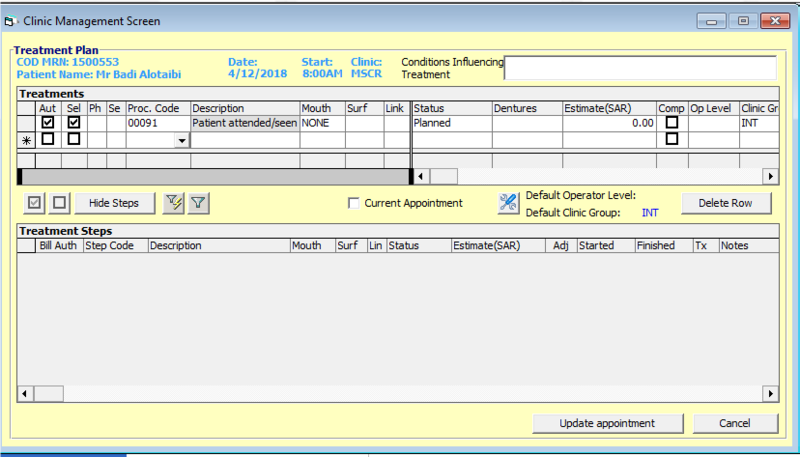 Note: you have to change all the previous appointment that was still Booked in Patient appointment view. Q5: If I cannot type anything on the Salud screen? Ans: Make sure the EDIT mode is selected. Q6: If I cannot view questions or type anything on the PROGRESS NOTES screen? Q7: ROMEXIS: How to export x-ray as image? Q8: SALUD: Overriding patient appointment status from BOOKED to ATTENDED? Ans: This functionality is ONLY available for faculties. Q9: SALUD: If I cannot PRINT appointment slip from previous appointments? Ans: Appointment slip from previous appointments CANNOT be reprinted for security reasons, instead you can print “Historic Daily Appointments”. Ans: The problem is that the patient already have Periodental record saved and the operator made changes or corrected the Charting/Tx Plan. 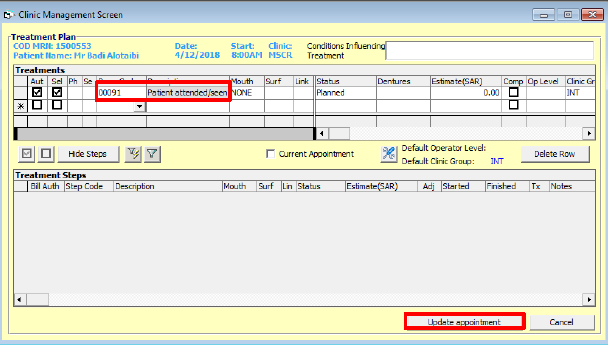 To view the changes select “Copy Forward” icon on the Periodental menu. 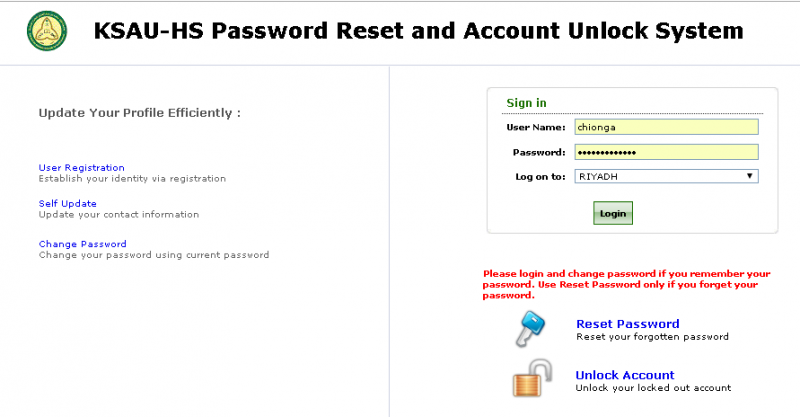 Q1: How to change KSAU-HS email’s password? Q2: Can I call COD-IT helpdesk to reset my NGHA email’s password? a. By visiting the ISID Information Centers. BADGE is a MUST. b. By using the ISID Self Services. This can only be used if your password is not expired yet or you are already registered. User must be registered first. You may register your mobile number in the ISID Self Service portal (https://isid-selfservices.ngha.med.sa/showLogin.cc) or your may visit the ISID Information Center to register your mobile. Q3: How can I make a Room Booking reservation? Ans: 3. To make a Room Booking reservation (like Large auditorium, classroom, meeting room, pbl room), you must fill up a form and sign by department head and submit to COD-IT department. 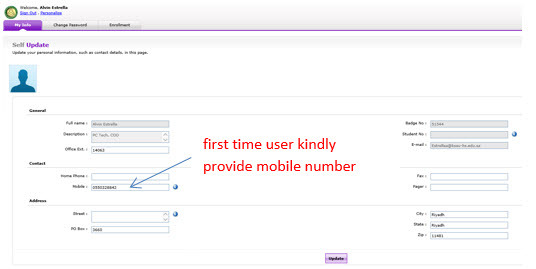 Form can be download from COD website https://cod.ksau-hs.edu.sa/ under the “E-form” tab in the menu (after login). Q4: How can I enroll/change fingerprint in attendance system? Ans: 4. COD electronic attendance system is located in Ground Floor (2 units near the service elevator) and First Floor (2 units near the service elevator and 1 unit in the reception area). For staff, enrollment and change of fingerprint can be done in COD-IT helpdesk area in ground floor. Q5: Can I send an email with a large size of attachment? Ans: 5. No, typically our email server can only send email attachment, size not exceeding 12mb. Q6: Can I download music, video or other application from KSAU-HS internet? Ans: 6. No, by KSAU-HS internet policy downloading of such file is block. Q7: Why I can’t open some website, when using KSAU-HS internet? Ans: 7. Some non-productive website are filtered and blocked from KSAU-HS server. Q8: How can I connect to “Internet-For-All” free WiFi service? Q9: Can I move my computer to other location or room? Ans: 9. No, by COD-IT policy, it is prohibited to move any assets like computer, printer, scanner without any knowledge of COD-IT helpdesk. Moving of an asset can be done by requesting to COD-IT or call extn. 95772. Q10: Can I request for printer or scanner? Ans: 10. You can download the “Request For Equipment” form from COD website https://cod.ksau-hs.edu.sa/ under E-Forms tab in menu (after login). Note that any request may subject for COD-IT and ITS approval. Q11: Is there any public computer, I can use inside the college? Ans: 11. Yes, public computers are provided inside the COD library department, where you can able to use computers, copier machine and printer. Library is divided whereas ground floor for male and first floor for female. Q12: Can I plug my personal laptop to the college network socket? Ans: 12. No, as per ITS-Network policy, no one is allowed to connect personal laptop to network wall outlet, due to security reasons, unless there is permission from COD-IT.